They talk, they smile, they kiss. Your lips are one of the most expressive and useful parts of your face. But like the rest of your face, your lips begin to show the ravages of time. They get thinner and lined. Fine marks appear above and below, like tracks in the snow. Makeup can’t hide the fine lines, and no matter how much liner, lipstick, and gloss you put on they still look thin and lined. Fortunately, Kalos Plastic Surgery offers options for fuller, more sensual lips. 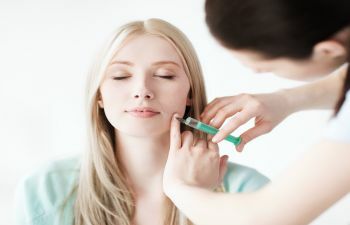 Bruise Free Fillers: Juvederm is a line of facial fillers that will increase the volume of the area of injection. Practically speaking, it fills the lined, narrow lips, giving them the fullness they had at a younger age. In the skilled hand of Dr. Stong, the injectables leave no bruising or marks, and look very natural. Lasting for six months, they are a great option to try before deciding on surgery. Neuromodulators: Botox, Dysport, and Xeomin each work in different ways to relax the muscles and nerves that cause the face to wrinkle. It may be effective on the fine lines at the mouth, creating a smoother look around the lips. Lip Lifts and Fat Grafts: If you’re not seeing the desired results with injectables, a lip lift or fat graft may be your best choice. The lift will help with drooping corners, while the fat graft will increase the volume with your body’s own fat reserves. Let Dr. Stong show you how fabulous your smile can look. Call our Atlanta office to set up a consultation!